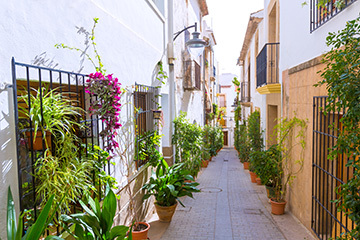 Moraira situated on the Costa Blanca was once a quaint, quiet fishing village and is approximately 80 km north of Alicante and 100 km south of Valencia guaranteeing easy access from all sections of Europe. Attractively nestled between the backdrop of mountains, the town boasts of beautiful beaches along the coast road, safe for family bathing and offering a relaxing vacation. There are more secluded coves scattered along the coast for bathing. Conveniently situated on the beautiful coastline of the Mediterranean, Moraira enables you to visit other destinations in the area, most within an easy drive for the day trippers. 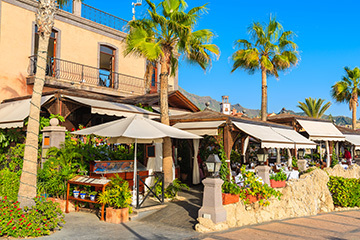 Moraira has much to offer, with a reliable stable climate, the area is popular with retirees and holidaymakers, all seeking warmth, entertainment, relaxation and rejuvenation. 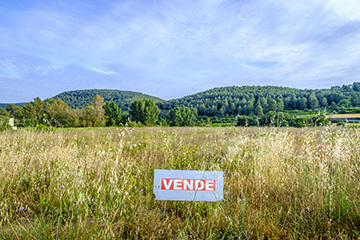 With the abundance of Tapas bars and restaurants (some overlooking the crystal clear water) along with boutique shops, there is plenty of appeal for all. Each year in June Moraira conducts the Moors and Christians festival along with many other local fiestas and celebrations to entertain. The Spanish charm, excitement and sincerity of the locals will captivate your interest. For the sports enthusiasts, Moraira provides facilities for water sports, tennis and golf.